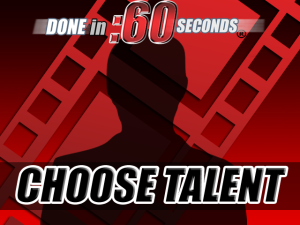 In this step, carefully select the video actor talent to appear in the presentation you will be ordering. Choose from among live actors, voice-talent and 3D virtual character avatars. [diss_step1] Here you can check out our professional video actor talent. If you do not want an actor, just choose no actor. You can also choose voice-over only if you like what the actor sounds like but have something else in mind for the visuals. Other features include custom casting, where we create a custom casting call for your video, or you can provide your own talent. There will be some additional charges with each of these features. 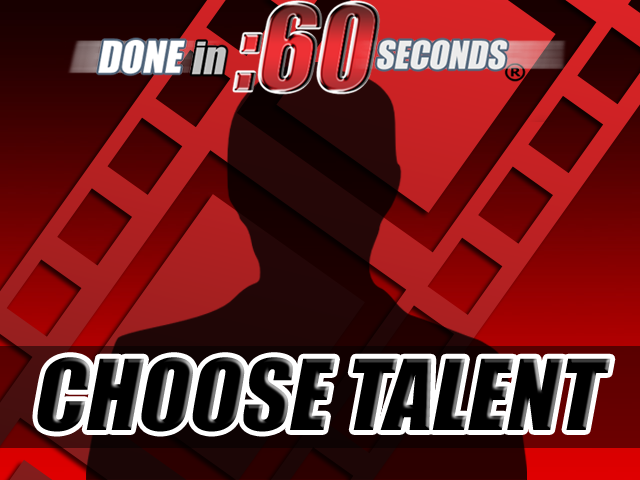 If you found an actor in our PREVIEW TALENT section that is not represented here, simply choose NEW TALENT, and enter their name under the special instructions portion of the scripting step. If you’ve selected NO ACTOR or Voiceover only, be sure and choose that option under wardrobe. Each step in the DISS order process REQUIRES you to make a selection to ensure nothing is left out or overlooked before you pay.